You may call him a one-eyed, four-eared furry little people pleaser, but there is no doubt this sweetie is nothing short of remarkable. 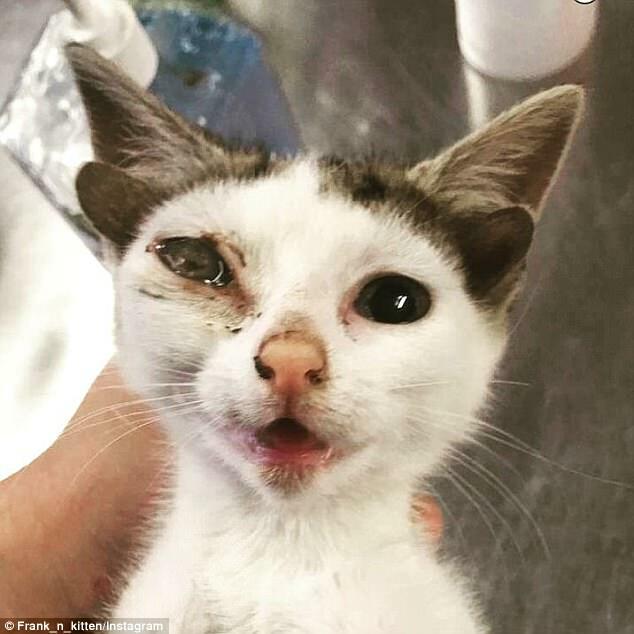 You may call him a one-eyed, four-eared furry little people pleaser, but there is no doubt this sweetie, who was found underneath a house in the suburbs of Melbourne, Australia alongside his brother, is nothing short of remarkable. 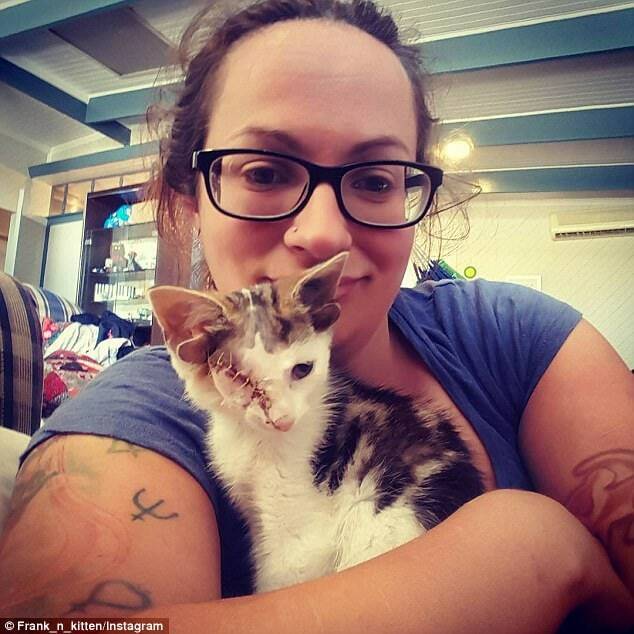 The kittens were taken to the Geelong Animal Welfare Society (GAWS). 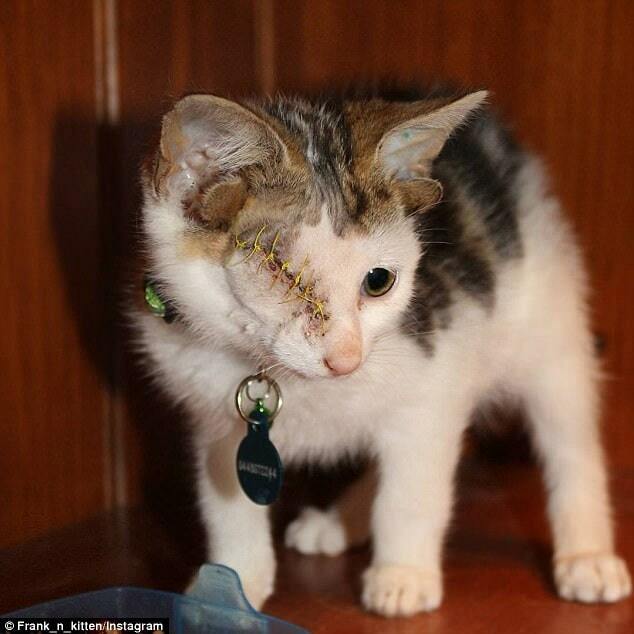 Georgia Anderson gave the 10-week old she adopted the moniker Frankenkitten as a nod to the stitches he received following the removal of his eye. Frankie has become very close with Georgia’s son, Arthur, too, and settling in well with the entire household, people and cats included. There’s no doubting he is a real cutie, ears and all. AND he has his own Instagram account. Click here to follow Frankie and follow his adventures. Awe that kitten is precious. Lilly Bug of 2 Cats and A Blog came by for a visit from East Tennessee, USA. 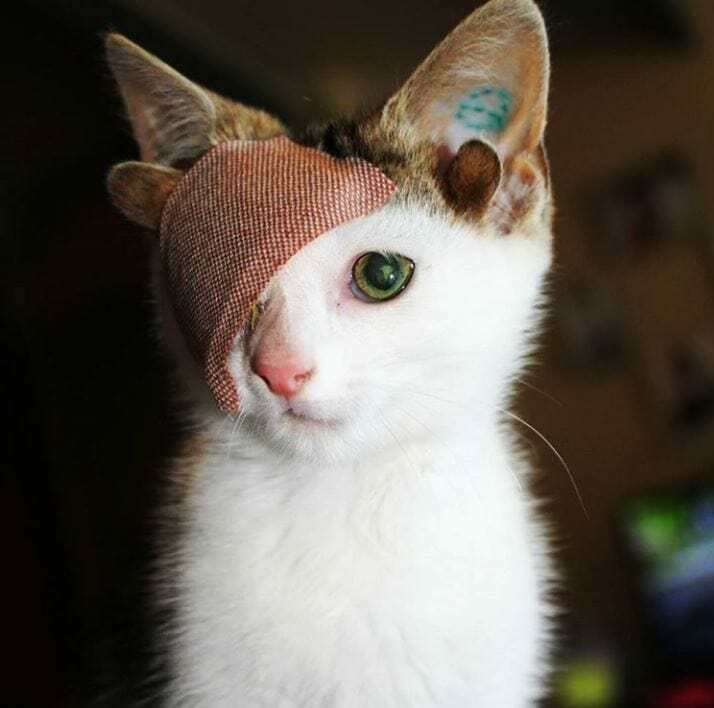 Gorgeous, but shame what happened to his eye?